I am so thankful that I was able to spend Easter at home with my family. As this may be my last break for quite some time, I soaked up the opportunities to see old friends, bum around the house, enjoy a holiday meal with family, and bake! After what seemed to be the longest winter ever, the sight of bright pink strawberries in the grocery store makes me almost giddy! I knew they must be incorporated into this year’s Easter treat. 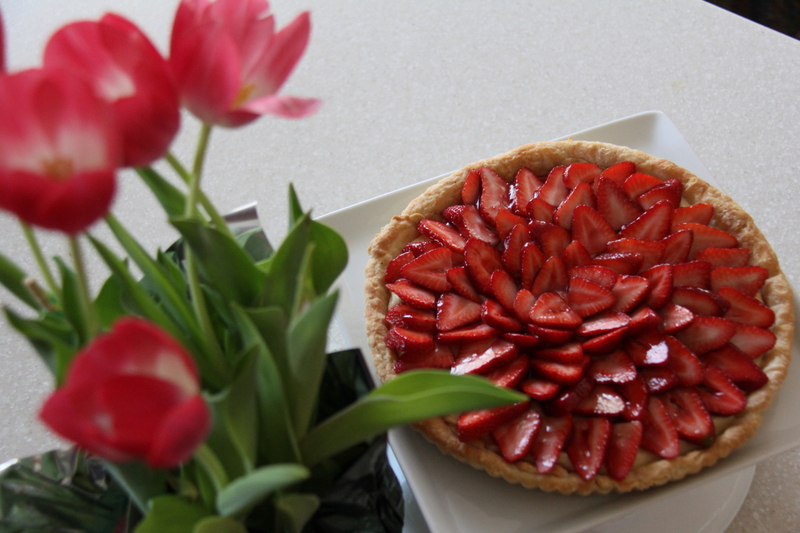 This strawberry tart keeps it simple and delicious. It showcases the beautiful berry and is full of texture and flavor! 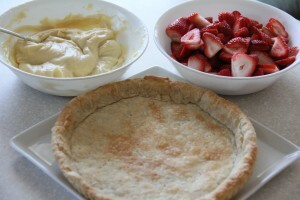 My dad’s famous flaky pie crust is filled with a luscious pastry cream, all topped off with sweet berries. 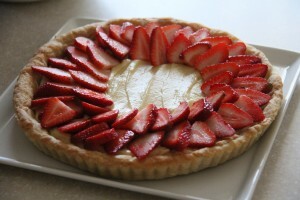 Shortly before you are ready to serve the tart, spread the pastry cream in the bottom of your baked pie crust shell and arrange the strawberries on top. Combine the jam and water together and heat (either in the microwave or a small saucepan) until combined. 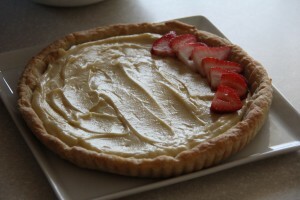 Using a pastry brush, spread the glaze over the strawberries to give your tart a shiny finish! 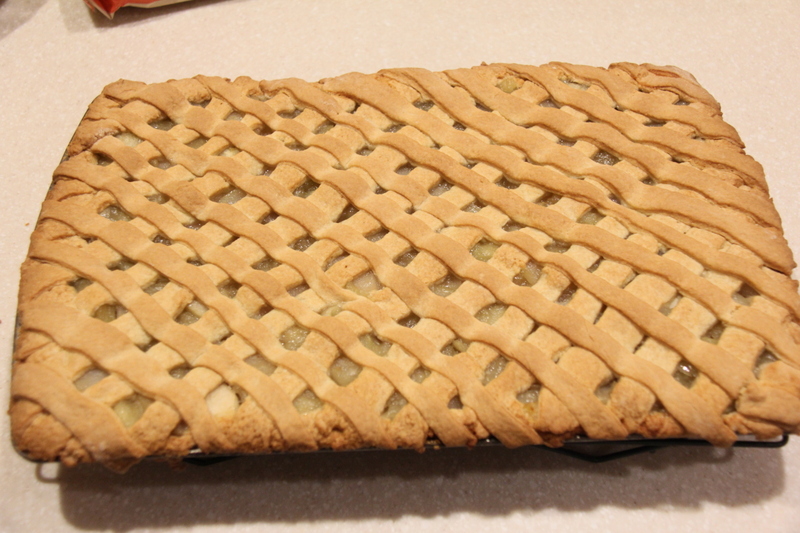 (We made the crust by hand with a pastry cutter. 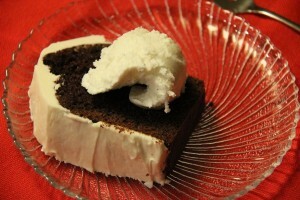 Using a food processor works wonderfully, as well.) Stir together the first three ingredients in a medium sized bowl. Add your small pieces of cold butter. Using a pastry cutter, cut the butter into the flour mixture until you have little bits of pea-sized butter pieces remaining. 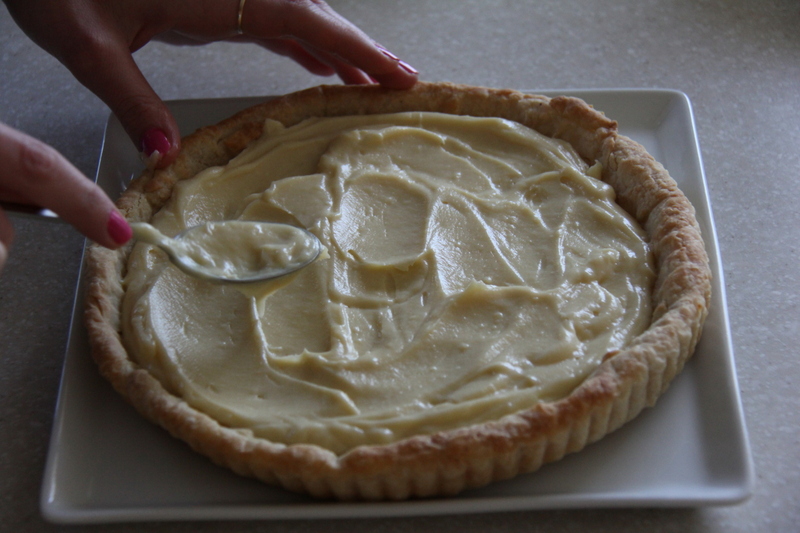 Pour in 1/4 cup of ice cold water and blend together with the pastry cutter and your hands until a nice dough forms. Add another tablespoon of water if it is still too crumby. 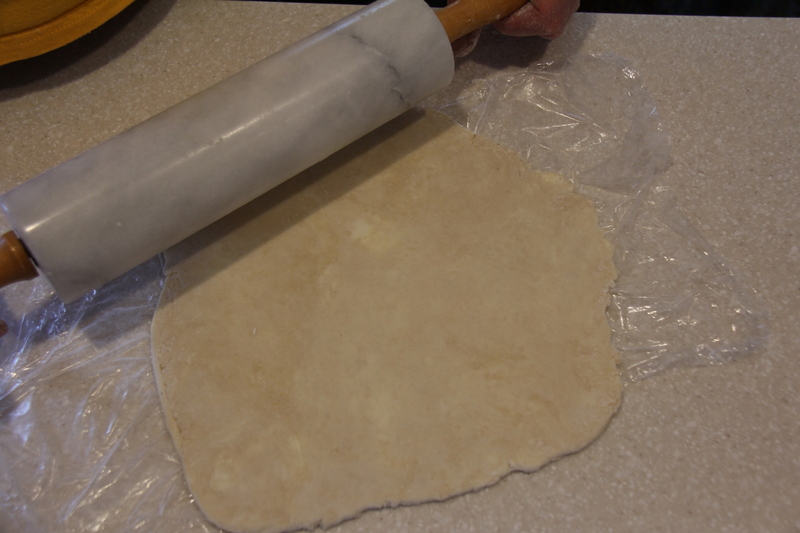 Wrap the dough in plastic wrap and chill for a couple of hours before rolling it out. 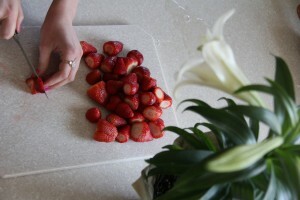 Put a piece of parchment in a circle to fit in the bottom of your pan. We used a tart pan with fluted edges, but any kind of pan (pie, tart, quiche, flan) will do! 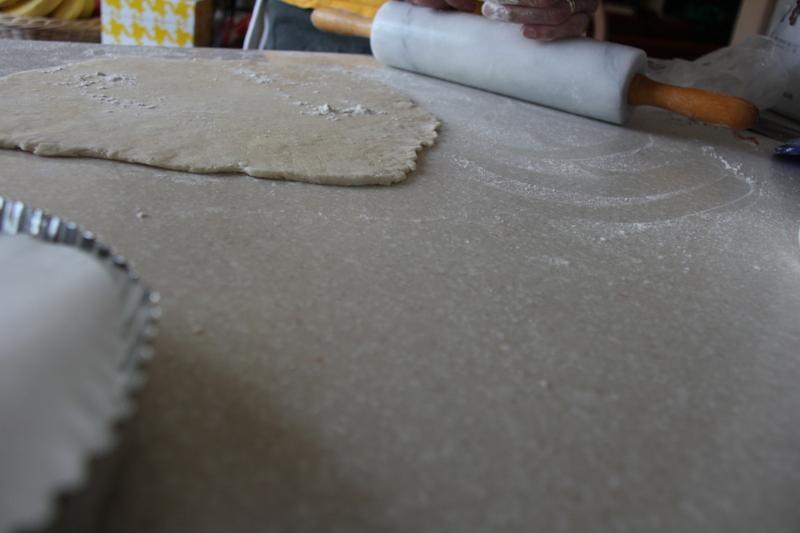 After your dough has chilled, it’s time to roll it out into a circle with a diameter a couple of inches bigger than your pan. Sometimes this is easier on top of the plastic wrap or a floured sheet of parchment paper. Keeping your dough sprinkled with flour will also help to prevent it from sticking. As you roll out the dough, occasionally turn, flip, and lift the dough to free it from the surface. 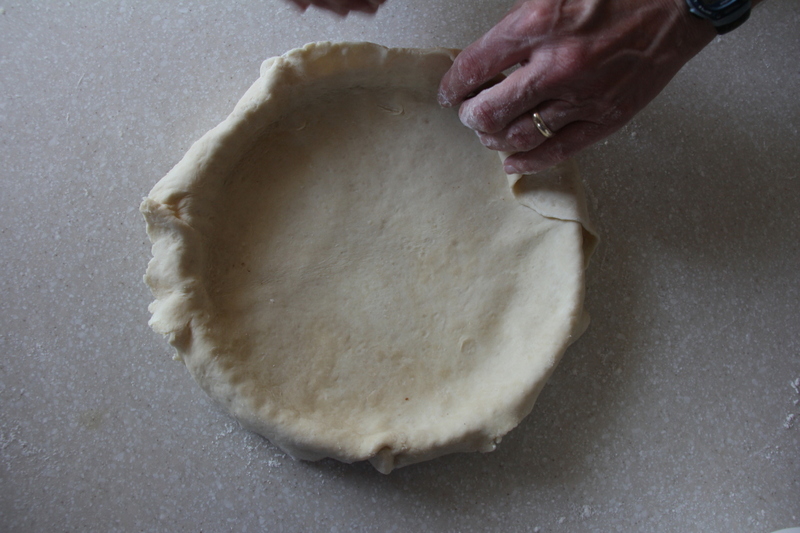 After you’ve reached the desired size, turn the dough out into your pan. 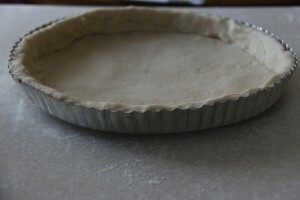 At the bottom edge, lift the dough up and press in to make sure it gets fully in there. Trim the overhang to 1/2 inch. 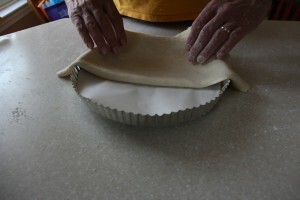 Fold the overhang in to make double thick sides. Now, it’s time to blind bake! 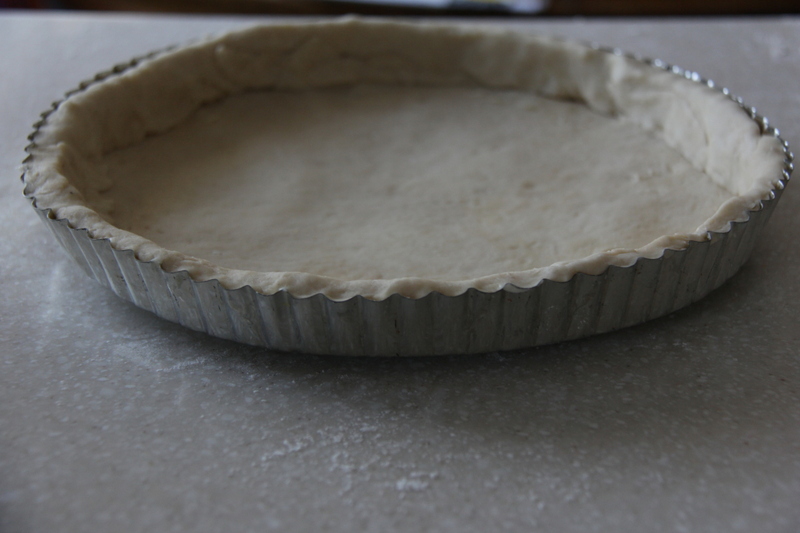 We’re going to bake the crust by itself, since the filling doesn’t need to be baked. This method also keeps the crust flaky and wonderful, protecting it from becoming soggy after we load it up with pastry cream and berries. Preheat your oven to 425F. 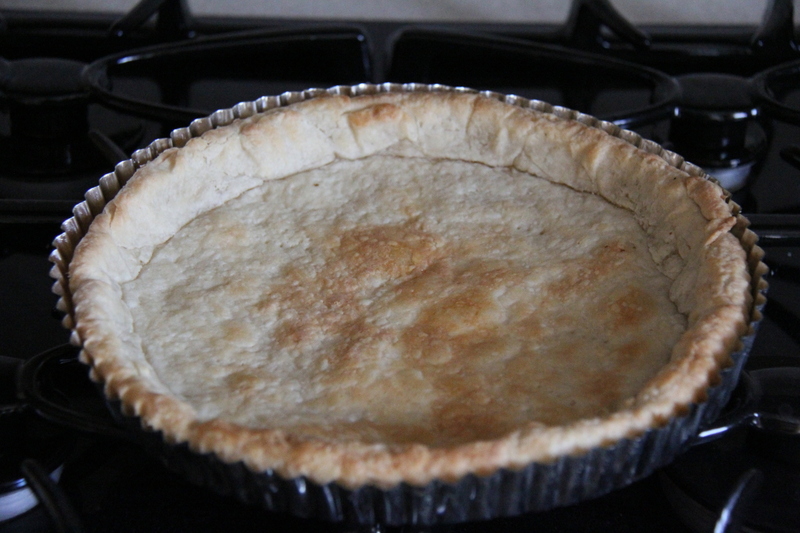 Gently place a piece of aluminum foil on top of the crust. Then, place your pie weights or “baking beans” on top of the foil. You can purchase official pie weights, but we are totally happy using dried beans. 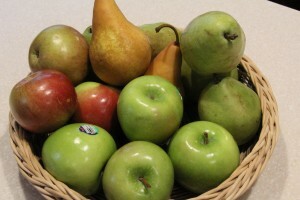 (After they cool, you can store them in a bag and use them over and over again as pie weights!) Spread out the beans delicately and evenly. 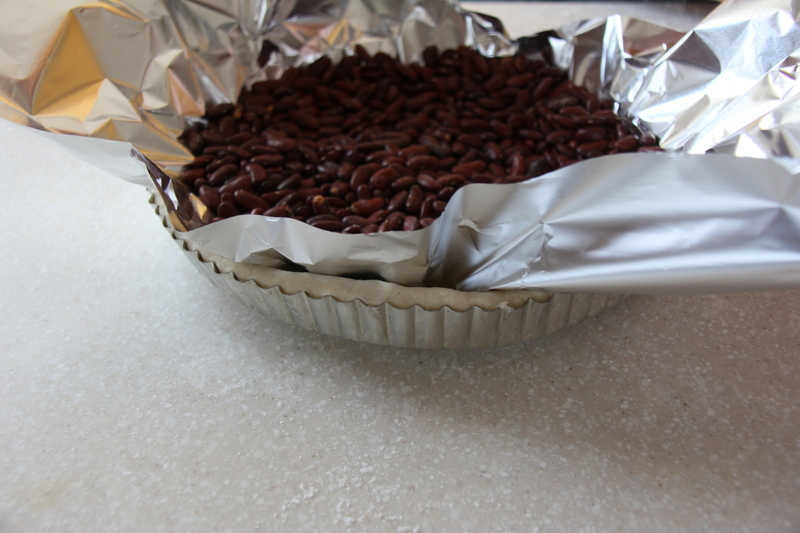 Bake your crust, filled with foil and weights/beans, for 15 minutes. Then, remove the weights and foil and bake for about 5 minutes more, until the crust is cooked through and turns light brown. Remove from the oven and allow the crust to cool in the pan. 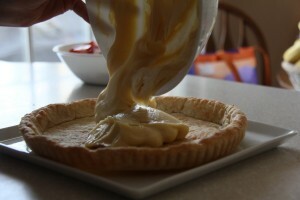 In a saucepan over medium heat, warm the milk until you see small bubbles form along the edges. Remove pot from the heat. In a medium bowl, whisk together the egg yolks, sugar, cornstarch, and salt. 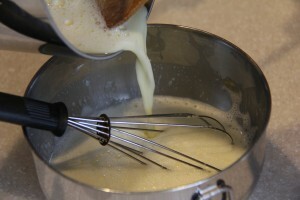 Slowly add about one quarter of the hot milk to the egg mixture, while whisking. Continue to add the milk very slowly until it is all incorporated. Pour the mixture back into the saucepan and place over medium-low heat. Cook, stirring constantly, until the mixture comes to a boil and thickens. Continue to cook, still stirring constantly, for about 30 seconds. 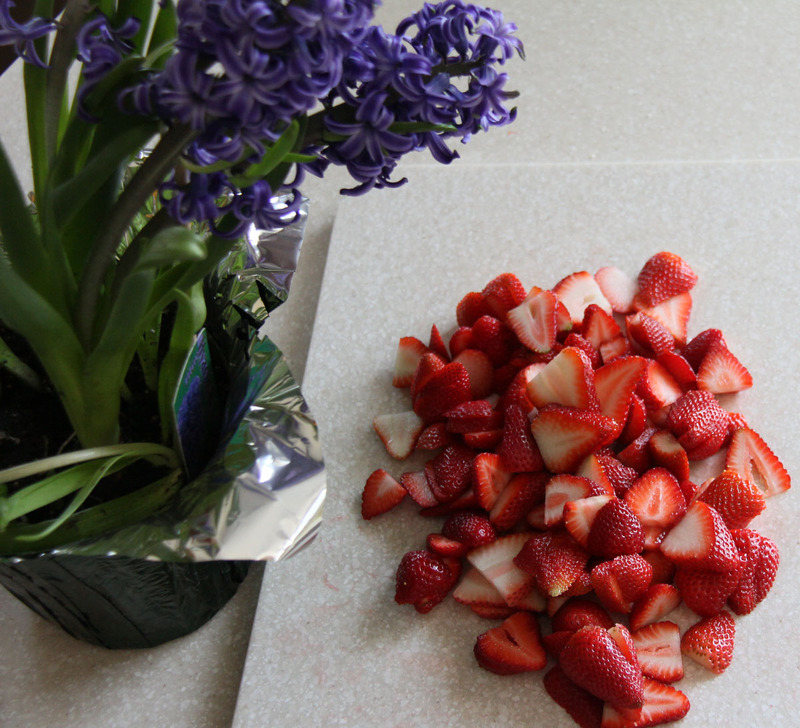 Pour the mixture into a clean bowl. 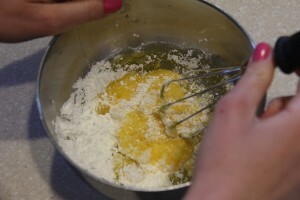 Add the vanilla extract and butter (cut into small chunks). Stir until smooth and combined. Press a piece of plastic wrap directly onto the surface to prevent a skin from forming. 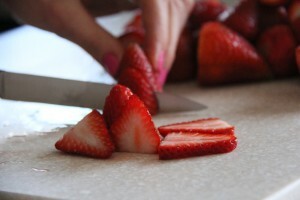 Refrigerate until cold, for at least 2 hours or up to 24 hours. Birthday cakes are really important to us. They might even be the most important birthday decision, and they are definitely the most delicious present. In our family, my Nona’s chocolate cake is often the birthday treat of choice. Boston Cream Pie or berry trifle sometimes make an appearance, but this cake celebrates birthdays with us at least a couple of times a year. 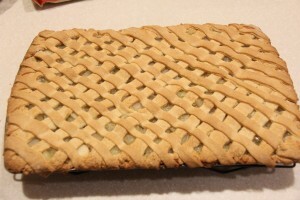 We don’t know exactly where the recipe came from, but my Nona (grandmother) used to make it for me all of the time when I helped out at her house as a kid.